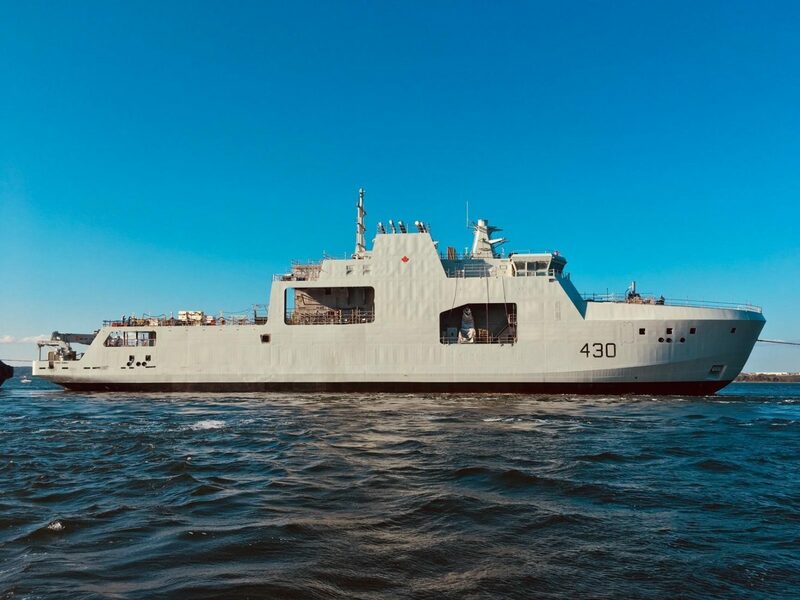 Canada’s lead Arctic and Offshore Patrol Vessel, the future HMCS Harry DeWolf, was launched today, Sept. 15, 2018, marking a significant milestone for the National Shipbuilding Strategy (NSS) and the revitalization of the Royal Canadian Navy’s combatant fleet. At 103 metres and 6,615 tonne, the future HMCS Harry DeWolf is the largest Royal Canadian Navy ship built in Canada in 50 years. 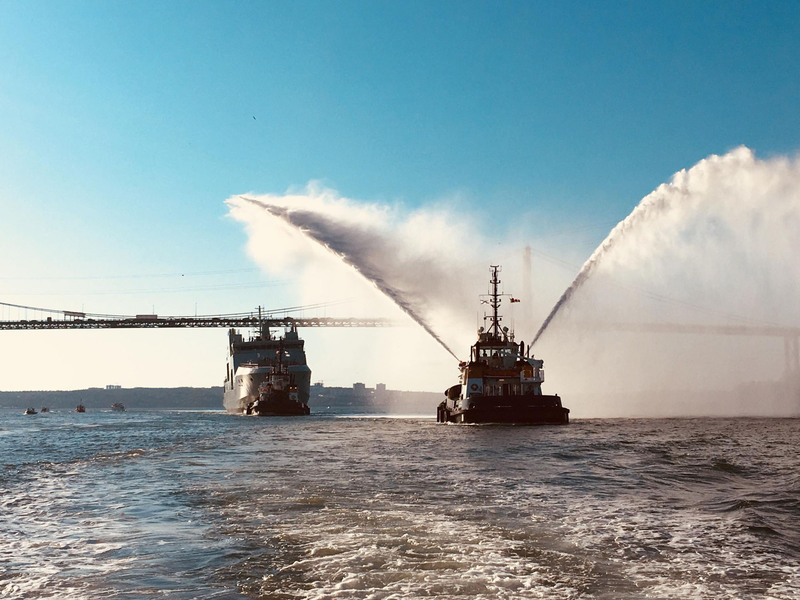 The ship was transitioned from our land level facility to a submersible barge yesterday, Sept. 14, 2018, and launched in the Bedford Basin today. 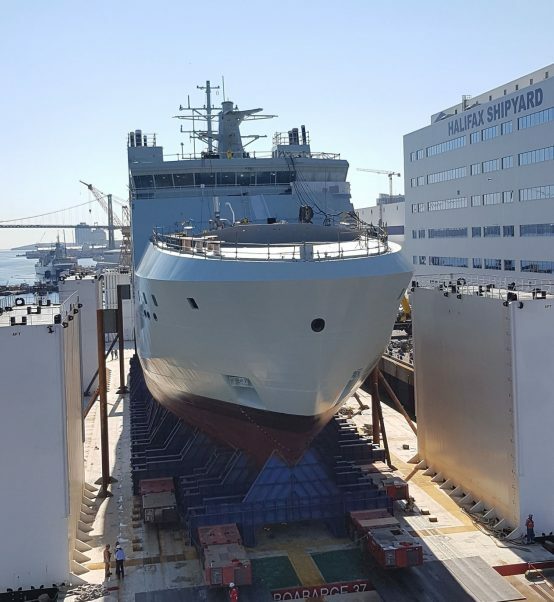 The lead ship in the Arctic and Offshore Patrol Ship program is now pier side at Halifax Shipyard where our shipbuilders will continue working to prepare the ship for sea trials in 2019. HMCS Harry DeWolf is scheduled to be turned over to the Royal Canadian Navy in summer 2019. The National Shipbuilding Strategy was created to replace the current surface fleets of the Royal Canadian Navy and the Canadian Coast Guard. Through a competitive, open and transparent process, Irving Shipbuilding was selected to construct the Royal Canadian Navy’s future combatant fleet—Arctic and Offshore Patrol Vessels followed by Canadian Surface Combatants. As a result of the National Shipbuilding Strategy, Irving Shipbuilding has become one of Atlantic Canada’s largest regional employers, with thousands of Canadians now working in skilled, well-paying jobs. The Halifax Shipyard, long at the centre of Canadian shipbuilding, is now revitalized and home to the most modern, innovative shipbuilding facilities, equipment, and processes in North America. “Congratulations to our more than 1,800 shipbuilders on today’s successful launch of the future HMCS Harry DeWolf. This is a significant milestone and the first of many more launches that will take place at Halifax Shipyard over the next few decades as we work to revitalize the Royal Canadian Navy’s fleet as part of the National Shipbuilding Strategy." Launching the Future HMCS Harry DeWolf from Irving Shipbuilding on Vimeo and YouTube.